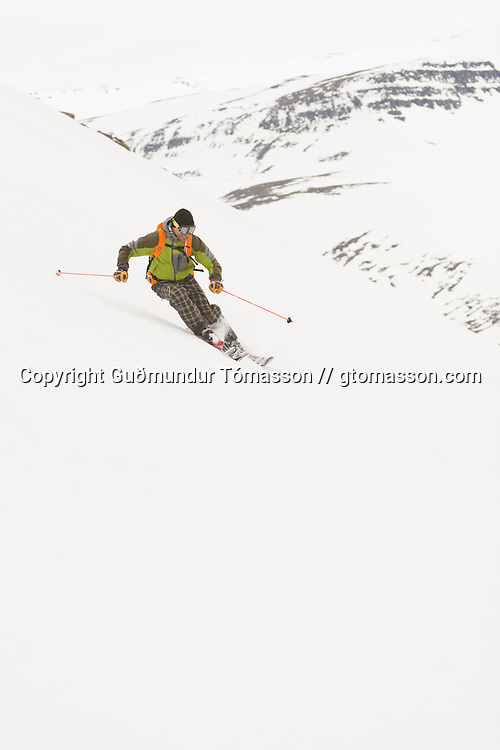 Kai Kantanen skiing in Veiðileysufjörður, Iceland. Images from an ski touring adventure to Jökulfirðir, a series of fjords in west Iceland, with Bergmenn Mountain Guides and Borea Adventures. The tour takes skiers from fjord to fjord with the sail boat Aurora as a overnight base.